That was the scene at the recent mastermind meeting in Vegas as myself and the ‘Nutrition Nerd’ himself, Nick Pineault, discussing anything and everything nutrition. 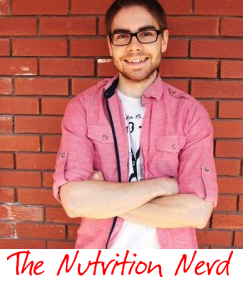 Nick is the smartest guys I know when it comes to nutrition… I mean this guy knows his stuff! This sparked a whole new conversation as I told Nick about how I personally teach others to keep their kitchen healthy. Yet Nick took it to a whole new level. As you know, one of my first recommendations when trying to get healthy is to clear out the junk food in your kitchen. If you don’t have junk foods to tempt you, there is a 100% chance you won’t eat it, right? He started telling me about how most people do not understand exactly what is considered to be ‘junk food’, especially when trying to burn fat and get fit. He told me many of his clients will still cook with vegetable oils, eat breads and pastas, have sugary yogurts for breakfast, and drink diet soda cause those aren’t labeled “junk food”. The truth is, as Nick pointed out in his thick French accent, these foods are what kill peoples results, gut, and stall fat burning. I couldn’t agree more with him. There are plenty of foods that the FDA and food companies label as ‘healthy’ yet absolutely kill your fat burning efforts and your health. At this point in the conversation, the passion really started pouring out of the both of us. You see, with all the information that is out there it is very hard at times to know what to believe and what not to believe. If you look around at the most fit and most healthy individuals, they are the ones that are the most educated. They know how to eat properly. And by being properly educated, they are able to know exactly how to eat for best results and optimal health. You cannot go by what the mainstream (government, FDA, news, etc.) says anymore… It just doesn’t work. You have to start thinking differently about the foods you consume if you want to start getting fit. He wants to be educated so he can help educate others. Lucky for you, you don’t have to spend hours researching in order to get answers… Nick has already done that for you. See, recently Nick took his lifelong work and created the best fat burning education system I have ever seen and gone through. He calls it ‘Truth About Fat Burning Foods‘ and he literally covers everything under the sun. From what proteins to eat, what fats are best, why carbs are important, how to choose your coffee, what to keep in your kitchen, and more. 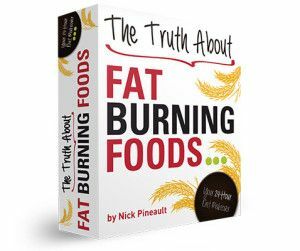 If you have ever wondered about anything nutrition, Nick answers it in The Truth About Fat Burning Foods. So when I mentioned what to Nick that I would love to create some workouts as a compliment to his Truth About Fat Burning Foods system, he just about leaped out of the room. So the Nutrition Nerd and Workout Wizard brainstormed and decided for the next 3 days, a special bonus will be added to this already amazing program. If you purchase Nick’s Truth About Fat Burning Foods system, you will get a FREE copy of my brand new Superhero Supersets Workout program. All you need to do is send your receipt to dennis (at) fatburningnation (dot) com and I will send you your FREE workouts. 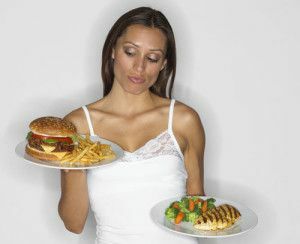 ==> Click Here To Get Your Copy of The Truth About Fat Burning Foods <——– Plus your FREE Bonus! That my friends is what happens when the Nutrition Nerd and Workout Wizard come together for a weekend and let their minds go to work. Head over and check out Nicks program and start getting educated on how to eat properly, live healthier, and look better. This program is truly a lifesaver. 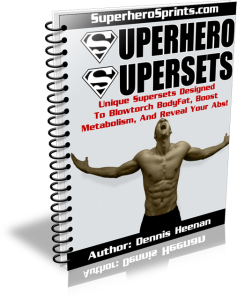 Plus, remember you get a FREE copy of my Superhero Supersets program if you order within the next 3 days. Can’t beat that! 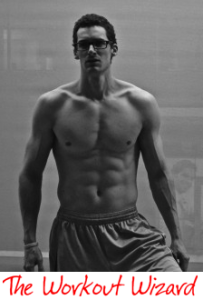 Nutrition Nerd… Workout Wizard… OUT!